There is no better way to honor the man who so tirelessly advocated for care of those who lived in poverty than by spending your pennies on pious excess. And for you, dear Lent Madness faithful, I have limited all my searches to eBay and Amazon so you can go find these gems and purchase them for yourself, if you so please. The easiest finds are his books. SO MANY BOOKS by him and about him. Those are boring pictures though, so I’ll let you find those on your own. After books, there are so many traditional things you’d expect to find. Like the lovely icon above. 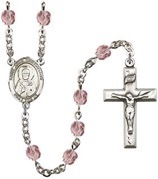 Or this nifty rosary. You can find it with blue beads too. But perhaps you want more peculiar religious paraphernalia. 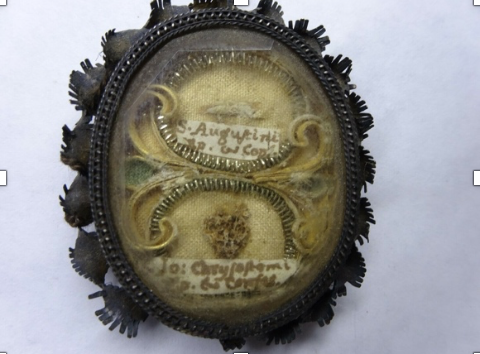 Like this John Chrysostom medal attached to tennis shoes. Because in addition to soaring oratory, Good St. John also had literal hops, apparently. 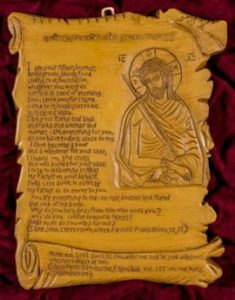 The description from the seller is worth reading in full: “Made with pure beeswax, mastic and incense… It emits a very distinct odor due to the incense from Mount Athos creating an atmosphere similar to an Orthodox church or to a Monastery (emphasis original)”. I wonder if they have one that comes in the “distinct odor” of church basement. Apparently beeswax is common with John Chrysostom. Maybe for its golden hue? 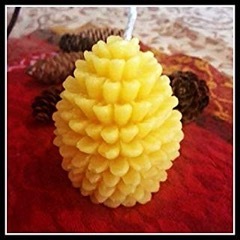 Anyhow, a Chrysostom search in “Home and Kitchen” will yield this find: a pine cone shaped beeswax candle. Go figure. But perhaps these items are not spectacular enough for your religious sensibilities. Fear not, for I have found on the eBays this fantastic reliquary. I am so curious as to what that gray blob is and who on earth would want to show it devotion. Also, if the selling of relics strikes you as somehow a little wrong, again the seller reminds us that the “Relic is free, only the theca is on sale.” $995 seems steep for that if you ask me. But perhaps you don’t want explicitly religious items. You want to show your Chysostom fandom in more mundane ways. 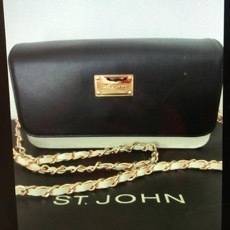 Well, here’s a nifty St. John bag (list price $450) for you to carry your alms in. This stylish tote also has easy access so you can quickly grab coin when you see someone in need. Maybe such a purse is too ostentatious for you. Maybe you’d prefer something more subtle to show your support. Might I suggest your own “golden mouth” imitation with this fab grill? In truth though, there just is not enough sacred kitsch out there for John. Should he win this year’s Golden Halo, you, dear voter, will have graced the world with the most kitschy of sacred devotion, a Lent Madness mug. Medicine during the time of Jesus was an odd combination of spells, chants, prayers, herbs, rituals, and instruments of torture. To apply a scholarly approach in conjunction with Christian practice was indeed a cutting-edge approach by Zenaida and her sisters. To provide this care for free, was simply unheard of.Since there is no Etsy or Ebay store committed to Zenaida kitsch (what’s with that? ), let me immerse you in the medical practice of common human ailments. Treatment of disease revolved around manipulating what was thought as the four humors: blood, phlegm, black bile, and yellow bile. Colds and Flu have plagued humans since the beginning of time. Satan sneezed and infected us all. 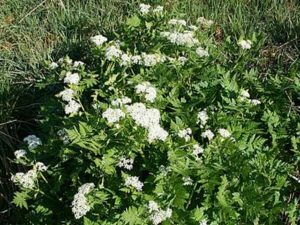 Along with prayers and chants, colds and flu were treated with leeching of the blood since most diseases were attributed to the work of Beelzebub. 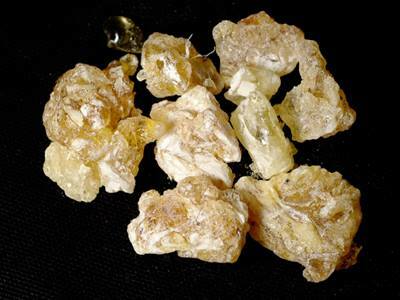 Frankincense and Myrrh were given to baby Jesus because of their value in treating common diseases. 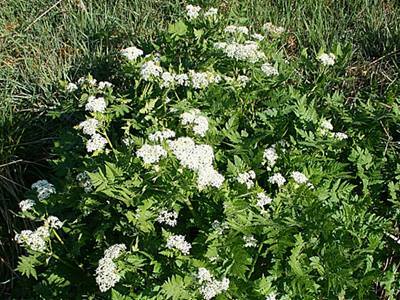 Both are known to have antiseptic properties and can aid with digestive problems and improve oral healthcare. F and M were the ancient equivalents of our current use of antibiotics. And if you think that pharmaceutical companies over charge now, these two babies were probably worth MORE than the gold Jesus was given. Got a tapeworm? Who has tapeworms these days? Back then, tapeworms, dysentery, vomiting, and other gastric fun times were all too common. Pomegranate would have been the “go-to” treatment by Zenaida and her sisters. Got a head injury? 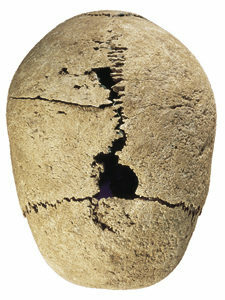 Much like today, but without ascetic technique, physicians would drill holes in the skull in order to relieve intracranial pressure to allow the brain to heal. This is the skull of one such human having undergone a craniotomy. What’s more surprising is that although a number of people died following the procedure, archeological evidence suggests many more survived. Wounds from war and tribal infighting were treated with tools from the kitchen and garden shed. 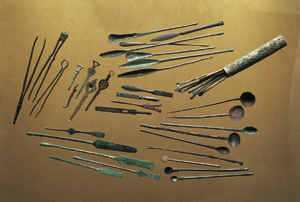 Spoons were used to scrape out infected cuts, saws were used for amputation, forks were used as probes, and of course knives were used to slice open human flesh. And finally, wine. Wine was used to disinfect wounds; treat anxiety; and hydrate (since it was often safer than water). 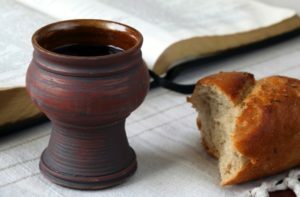 And lest we forget, the gift of wine (and bread) is our promise from the Great Physician that while our physical ailments may not be cured, that there is greater healing in store for us in the Kingdom of Heaven. Zenaida knew that any of her treatments were for naught if God was not a part of the healing process. 127 Comments to "John Chrysostom vs. Zenaida"
Her sisters as well worked besida. And she never charged for service. He was known for sermons which were bold. John starts as a rich kid. John starts out in Antioch. John starts with monastic call. No food and he always stands. Starts preaching when ordained a priest. Well-spoken about what he’s learned. Lacking tact, he’s awfully blunt. For calling out people in pow’r. Holistic care’s what she provides. Mind, and soul – keeps them alive. Her healing was redemption based. Her healing was a gift from God. And she refused to charge. I said, Zenaida didn’t charge. Theophilus, Synod of the Oak. They deposed John. Sent him on a march. But he was too parched, he could withstand no more. This ends the Elate Eight round. So, click the link and vote, vote, vote. The Miscellan’ous quadrant is done! And next week it’s over ‘cause Holy Week has come. Next week is Faithful Four. Katrina Lenk’s performance of “Omar Sherif” at the 2018 Tony Awards. Oh, that’s good! Thanks for the link. You did it!! I think I owe you a quarter now. Check or Mastercard? Oh, I really enjoyed singing this one–here at breakfast at Hyatt Place with 100 people milling around! I love that you retained the “gift from God” and the “Dance break with plate and table tapping”! So much fun–I think I shall give it another go, maybe this time on a Hyatt table top! This gives me joy with tears; a longing tinged with my own memories of watching old movies on Saturdays while the doors and windows are open and the birds are singing. This voice and tune will haunt my mind for the rest of the day and will bring good memories of younger times. Thank you for this beautiful gift. There’s no end to the benefits of participation in Lent Madness. I get to discover stuff like this! Many thanks. Lovely lyrics and the video too. Who knew about the Mouth of Gold? Not I, anyway. Thank you, Michael, for that tidbit as well as for all the rest of your delightful contributions to this year’s Madness. Michael, you are amazing! I’m really going to miss you when this is over. It’s your fault I had “Jesus Christ Superstar” stuck in my head all day yesterday! Michael, you’re awesome. I’m really going to miss your songs when Lent Madness is over. BTW, it’s your fault I had “Jesus Christ Superstar” running through my head all day yesterday. Oh well, I guess there are worse things to have in your head! Cared for all who were in need. A chance to grow wealthy. Was all their treatment and care. Zenaida wants all to well be. Oh, now I think I get it. Doctors. That last line, then, was in honor of her brother Marcus? Oh, GROOOOOAAAAANNNN, pHil! Made me laugh again, did you! Am I seeing a pattern here? Might we finish the final four with only women up for the golden Halo? Hmmmm. Any figures on the gender of the voters? Not that I would mind, but I would hate to see the results sullied by claims of gender bias. Thank you for raising this tricky subject, Susan. At times I haven’t felt part of the conversation this year. I applaud the empowerment of women, in the lives LM brings before us as well as in the comments and discussion; but it troubles me when someone declares that she always votes for the woman, or when the discussion seems to me to reflect gender bias in subtler ways. While I wouldn’t consciously vote for a male contestant on the basis of gender, I’m tempted in this round to do just that, ostensibly to preserve gender diversity in the Faithful Four but really out of frustration at feeling excluded. Some may say that it’s high time men felt excluded, and I even get that; but I don’t accept that turning the tables is an effective way of righting past wrongs. Nor is voting for the male candidate a healthy response to bias, actual or perceived. I can’t get past the antisemitism problem with John and have plenty of positive reasons to vote for Zenaida, so today it will be the Golden-mouthed over the Golden-tongued for me. One of the US’s female Supreme Court justices (I’m tempted to say it was Sandra Day O’Connor, but I can’t remember for sure) answered a reporter’s question about the “right” number of women on the high court. She said that the right number was nine, because for most of history the “right” number was zero. Statistically speaking, nine women is exactly as “right” as nine men; historically speaking, we have a lot of catching up to do! We need to strive for a state where “all men” or “mostly men” is no longer seen as normal, and “all women” or “mostly women” is no longer seen as weird. It was the “notorious” RBG. I hear you, Davis. I’m here looking for inspiration with the saints of our faith. I find the dialog of the LM Faithful challenging and have been pushed in so many directions. Weird, this forum is literally the only place in life and on social media where it’s safe to dialog about weighty things. We might be talking in earnest about Gobnait’s bees, but below the surface, we’re wrestling with finding strength for today through all the messes we are muddling through. That said, when someone votes from a flippant bias, I’m annoyed. Then I try and move on to the others, who are dialoging. Thank you for your contribution this morning. We “read” you! Yes- it can’t be easy, snap decisions on any kind of bias because that defeats the whole purpose of grateful contemplation. These are indeed weighty matters. Much to reflect on! Thank you Davis. I’m frustrated by this as well. Your concerns were well and carefully stated. Yes, it looks as though this year’s Golden Halo award will be female! Where are the Gender Cranks? Susan that’s an interesting observation. I’ve seen something of a pattern, too, but not so much by gender as for the lesser known or less appreciated Saint. It certainly happened in the initial vote of Mary v. Martha, and the pattern has continued in most (certainly not all) votes. I’ve been excited to encounter the “ordinary” Saints who give me encouragement for daily struggles. With a few exceptions, those Saints who have statues and kudos galore in high places rarely help me see Christ as clearly as do those to whose daily, quiet ministries this year’s bracket have introduced me. That’s one of the reasons I’m so excited about Zenaida – someone who ignored what it would take to make her rich in favor of daily caring for all who came to her with the best medicine she knew, with prayer and without charge. I agree, Diana. I also think that it’s no coincidence that the “lesser known or less appreciated” often happens to be the woman. For the record, I sometimes vote for whoever’s lagging behind (regardless of gender) because the matchups are often between such equally deserving candidates. Thanks for your observations. I tend to vote for the “reality-based” saint in a matchup with one whose history is more apocryphal, unless I have a serious problem with that saint. I voted for Iggy over Gobnait, but then his namesake university is my alma mater, too. That said, I welcome the fact that women have been prevailing in the last couple of years. It feels like, in a small way, we’re helping write them back into Church history. I can’t speak for others, but my votes for female saints are frequently because they are the lesser known–considerably lesser known–and I want to advocate for those about whom we need to know more. Often they are the contemplatives (since that is one of the only ways women were allowed to express their vocation), and we have a tendency in this group to under-appreciate the contemplative vocation. And I prefer not to vote for those who influenced more people simply because they influenced more people; I like to think that one’s saintliness in one’s own corner of the world is just as important as that of the powerful and famous. For these reasons, I often end up voting for female saints. I agree with you. It’s already sullied in my opinion. I’m a woman and can understand the strong feelings of other women in our culture of male-dominated life. Time after time, particularly in this year’s voting, we’ve seen a woman prevail over her male opponent. It’s become a joke in our family, as we wake up to the previous day’s vote results. But God is also present in this, I know. We still love Lent Madness and rejoice in learning about the more obscure saints. Perhaps it’s time – especially in today’s divided America – to learn about our neighbors, even those who don’t look like us, whatever the gender. I was a bit stunned that Iggie got bounced by the bee lady. It’s just the way it is this year. But you are right, o so right. God is in this funny, mad exercise. I agree with what some others have said, I think the bias is in favor of the less well known and more marginalized saint. This year I’ve voted for the winner many more times that previously, which worries me a little, because I don’t usually go with the majority viewpoint. But maybe it shows a shift in Lent Madness voters. I was definitely surprised when Pandita Ramabai beat Wilberforce, and a little surprised at yesterday’s vote. Just out of curiosity, does anyone know if this is the first time the Faithful Four have all been female? Also, as a black woman, I was surprised and gratified when Anna Alexander won last year so maybe there has been a bit of a shift in the LM voting. And it did feel good to have someone I can really identify with win the golden halo. Wow! All this and Tony Shaloub! Bravo! Here’s one FOR Zenaida/one AGAINST Dirty Mouth Chrysostom. GO Zenaida!!! 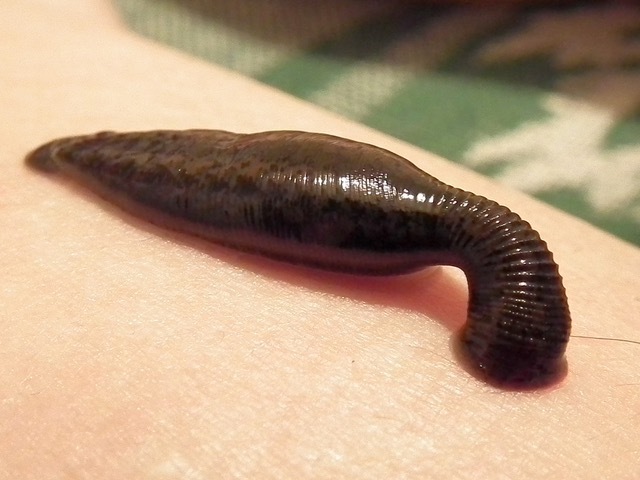 Well, the photo of the leech didn’t go very well with my breakfast muffin but I’m voting for Zenaida anyway! As this event goes from year to year, I’ve noticed that males do not tend to do well as the rounds progress. Some worthy men have been cast aside, for lesser known and relevant females. That can happen, that worthy men are cast aside. So are worthy women. I think we all need to remember that the SEC puts forth 32 candidates, all of whom are already recognized as holy persons in at least one church’s official calendar, and that only one can win. 31 of the nominated saints won’t win. I would prefer not to take into account the gender of the nominees, or where they hail from. And I tend to shake my head when someone announces that a candidate has their vote because the candidate has the same name as a voter’s relative, or that the voter attends a church named for a saint affiliated with the nominee, or the voter and the nominee share an interest or hobby or background. How does this factor into the decision of which nominee deserves to advance to the next round? However, it’s meant for fun and for education. And if some lesser known and relevant females — and lesser known and relevant males — become more known to the Lent Madness participants, that’s all good. And let us not forget that we are doing this as we wait for the appointed time to honor someone who in his own time was considered an unknown and irrelevant, until the man from the carpenter’s shop in Nazareth became an annoyance to the authorities. Thanks for the reminders. In Lent Madness, voting for one’s cat’s name or mother’s friend’s vocation are equally good reasons to any really well-thought-out theological reason, simply because it is Lent MADNESS, and all these saints are equally deserving. We are all fools for Christ’s sake, and that’s the summit bonum, isn’t it? Oh darn—summum. I do hate spellcheck!! Question, because I haven’t really read the comments regularly in previous years: Did we worry about gender bias when male saints won in 2010 and 2011, or 2014, 2015 and 2016? Yes, some voters have a preference for the lesser-known figure, and often that means the saint is from a historically non-dominant group. And most people are influenced to think about issues and take different perspectives based on the totality of what has been occurring in their world in the previous year. We can’t escape the society we live in, unless, of course, we are cloistered ascetics. But these and other factors add up to make the results what the SEC would call a “mix-up” and a “mash-up over time,” over the 10 years of Lent Madness. I am glad and proud that participants have chosen a mosaic of Christians: Lesser Known Holy People—Anna Alexander, Francis Perkins, Dietrich von Bonhoeffer, C.S. Lewis; George Herbert; and Long-Time Christian Hall of Famers—Charles Wesley, St. Francis, Mary Magdalene, Florence Nightingale. Or move these winners around according to your own ranking. I count 4 female winners to date, plus it looks like another female for 2019. That means 5 and 5. Maybe it’s not about gender. Wouldn’t that be refreshing! Well, unless Chysostom makes a second half come back, it is wait until next year for me. Voting for Zenaida this morning. And did you know that modern physicians are finding that leaches actually do have a few practical uses after all? To you, Anna Courie, all I can say is “Eeeyeew!” Putting aside my unsettled stomach, I will support Zenaida anyway, because she reminds me of two good missioner friends who have served the poor in Africa for over fifty years (together, 25+ for each of them). I can think of no greater service than extending a helping hand and love to those who frequently have no one else to turn to in their time of greatest need. Plus will end up with an all-woman Faithful Four! I can get into that. Marina the Monk? Did Ignatius sneak his victim across the chart and ascribe the victory to John? Darn, another thing I’ll have to take off my Christmas list. “Closer examination” spoils everything, but it does mean I won’t be disappointed when unwrapping my dead “Gulp Alive” leeches. Yes, it’s gender bias all the way. For all the SEC say they are surprised, the outcomes of the Elate 8 were pretty clear from the beginning. I’m particularly sad about Wilberforce. I’ve said it before and here it goes again. The game has become too predictably easy. Pick woman or color over European male and you found your winner. There have been some exceptions to this rule of thumb but it has served me well this season! When I first saw the bracket it seemed likely that Ignatius & Nicholas would end up on Spy Wednesday, but not it appears that the winner of Lent Madness MMXIX will be a female saint whose name starts with a consonant. It is nice that only one universally well known Saint is among those expected, based on early voting, to end up in the Faithful Four. Along with the lesser known saints of this year’s bracket, it would be nice to know something about the 17 saints whose images grace the bottom of the bracket, along with any other Saints whose visages appear around the website. I believe the gray blob was ancient chewing gum from the saintly gums. Or not…. I’ve got one of those generic ones. Don’t they sell them anymore? Both today’s and yesterday’s post began “Yesterday in a hotly contested matchup…”, but yesterday, “Yesterday” was set off with a comma, whereas the comma was omitted today. That’s all. Voted for Zenaida today. 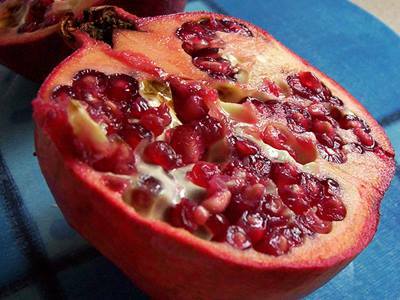 We love pomegranates and mostly the Mediterranean Diet, so we had to give her our vote. And wontit be a good thing for four faiths women to be the Faithful Four!!! It will be maddening indeed to choose between them, but that’s ok! A heroic effort in the kitsch round by all the bloggers. 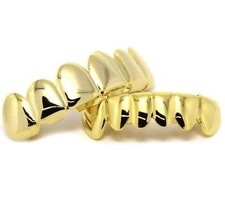 The “golden grill” offered by David Creech was truly inspired. The grill and the leech have almost put me off my breakfast. Anna Courie’s imaginative effort deserves applause. I voted for the Zed sisters. I am a little troubled by the angst over some mythical “gender balance” in the final rounds. I note that in 2012 the final four were Mary Magdalene, Emma of Hawaii, Margaret of Scotland, and Dietrich Bonhoeffer. The man didn’t win! But Bonhoeffer went on to win in 2016. In a very close match in 2015 Francis beat Brigid. This group tends to vote for Social Justice Warriors with a little bit of bias for all-time favorites. There’s a sentimental streak. (I’m talking to you, Irish bloc.) Seeking some mythical “gender balance” smacks a bit too much of kvetching to Jesus: Sir, we wish to see a sign. I tell you this generation will have no sign! My consolation is that all these figures come back into the mix with a new chance for victory. Unless Tim and Scott get burned out and retire this foolish piety (and I can only imagine the amount of work that goes into this (thanks thanks thanks to Time and Scott and to the company of bloggers), I look forward to all these figures having another shot at the halo. I want to see Julian of Norwich and Oscar Romero be “aura’d” eventually. And perhaps there will be new ones. Maybe one of us will eventually be a saint. (Here’s wishing very long life to Tim and Scott.) For me today the Zed sisters despite that leech and the hole in the skull. Who knew trepanation had such a long history? I learn so much from Lent Madness, and my heart is expanded. The Zed sisters expand my heart more than John does. So there’s my vote. You spelled it out well–Social Justice Warriors and the Sentimentalists! I’m hoping for another shot at Dympha and Christina the Astonishing myself. And I wouldn’t object at all to Julian or Oscar. I’m definitely in favor of Julian and Oscar though I would hate to have to choose between them! Diana, I appreciate your observations; they mirror some of my own sensitivities to the ‘gender thingy.’ It is often the ‘quiet saintliness’ of the common person that we can most easily relate to. The legendary candidates would seem to be the heavy weights of the competition, but the candidates of legend have much to recommend them, as well and often worked in obscurity. So. . .yes, that would seem to lend itself to a sense of gender bias and therefore a lack of copious kitsch! ( Something alluded to by Ms. Courie) She did a fine job of representing Zenaida with so little to go on! I salute her AND Zenaida! Regardless of who wins the last slot it is the Year of the Woman. Is this the first time this has happened/ WOW. Voting for Zenaida for a number of reasons, but the strongest one is that SHE HAS NO KITSCH?!? This is a travesty that hopefully can be corrected by a better PR campaign on her part — and what could be better PR than advancing toward the Golden Halo? Oh dear!! Two of my favorites have already been defeated, and now St. John Chrysostum is woefully behind. Not good. Not good at all! What a gift you have been to us with these magnificent compositions. Thank you!! I am in awe. Oh, and he also said homosexual men should be stoned to death. So Christ-like. 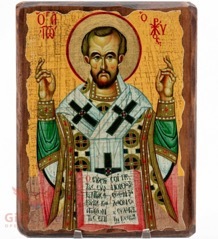 Exactly because Chrysostom was so eloquent, his comments have echoed down the centuries, quoted over and over again. I am appalled that in Lent Madness he has gotten this far. On the other hand, we know nothing of Zenaida but acts of love. All questions of gender and kitsch aside, this round is a no-brainer. Certainly trepanation would be a likely method for removing brains. But that would be one’s last vote! After reading John Chrysostom’ views on the Jews was shocked . Thank you for including him , it opened my eyes. We need to look beyond his beautiful sermons. Unfortunately a lot of his teachings were used by the Nazis to justify their cruelty. Just had to vote for Zenaida, since I’d been voting all along. Also, there are bound to be some interesting comments if the Faithful Four are all women. Pop plenty of popcorn and sit back and watch the show! Zenaida for me because of (or in spite of?) her best medical practices of the day; more importantly, Zenaida because free medical care for all. Let an enlightened Congress work out the details. On the other side, what’s with pairing Augustine with John Chrysostom, since the former is considered heterodox by the Orthodox? Ew! After reading today’s down-lo on Zenaida’s likely uh, ‘medical practices’, I almost reconsidered my high esteem of this person. (Which I only recently acquired via Lent Madness!) Today’s version of Zenaida depicts a war criminal. I can’t wait to see who is on display in the final 4, especially if paired with Gobnait, whose saintly devotion directed bee swarms. Her medical practices were common at the time, with one exception, she treated everyone, regardless of ability to pay. Thank God medical practices have improved. Now if we could just get single-payer health care for all in the US. Had to go back to the original bios to remember John’s legacy wasn’t just about pretty words, but a track record of speaking truth to power. Something we always need more of. “Truth”? If what John spoke was “truth”, let’s have no more of it! Sorry—I posted this in the wrong place. Please excuse the misplacement and the duplication! Saints Zenaida and Philonella (d. circa 100) were traditionally the first Christian physicians after Luke the Evangelist, and the first “unmercenaries” (physicians who would not accept fees from their patients). They are particularly venerated in Eastern Christianity. Zenaida and Philonella were sisters, born into a well-educated Jewish family and said to be cousins of Paul the Apostle. They were instructed and baptized into the Christian faith by their brother Jason, who was bishop of their native city of Tarsus. On entering the philosophical academy at Tarsus, they devoted themselves to the study of medicine, and when they completed their studies moved to the mountains around Pelion near Demetriada in Thessaly. This was a region renowned for its healing springs and shrines to Asclepius. The physicians who practiced there catered to the wealthy, charging exorbitant amounts for their services, and augmented their incomes with the sale of magical amulets and charms. The sisters set themselves in opposition to the prevailing custom. On locating a cave with a mineral spring, they set up a chapel and cells for themselves, and opened a clinic where they treated all who came to them regardless of their ability to pay. Zenaida was particularly interested in pediatrics. Toward the end of her life she paid particular attention to the treatment of psychiatric disorders, including clinical depression. I don’t know if they are cousins of Saul/Paul, but since they are also from Tarsus, the story is at least coherent. Zenaida means “from Zeus.” I like the syncretism of pagan/Jewish/Christian. It seems very multicultural. I am not sure if in the hellenistic period we really can separate all the cultural and religious strands. If Zenaida comes up against Martha, I don’t know what I am going to do. I value both women greatly and appreciate the models they provide for today. Personally I find it fascinating to expand my sense of spiritual and moral possibilities. Go, Jewish Zed sisters! Also, WHO stands for World Health Organization, so vote for the physician. Today’s not my day. I don’t feel the love for either one of these. And Anna’s write up – Yeesh! Had to pick one so went with John. Anxiously awaiting tomorrow. Yes, those descriptions made me not want to vote for either one! Must google both again! Wow! Am I the only one to notice that it SEEMS as though the Faithful Four will be all women? If it does turn out that way, will this be the first time for such a happening? See many of the earlier comments posted. I am a Canadian nurse, could I vote for anyone but a Saint who advocated Universal Health Care? I have noticed that the current cultural/political zeitgeist seems to inform the votes, and thus the winner of the Golden Halo. Does anyone else see this phenomenon? Just curious. If you read the comments above, you’ll find that it has been discussed today. And in the comments from a few days ago, there were actual percentages that debunked the idea that minorities always win the daily matchups. And even if it were true, why would it matter? This whole thing is for FUN; it’s not like we’re shaking up heaven or anything. Following the comment threads on a real or perceived gender bias, I recalled thinking there were other biases in years past: e.g., the modern saint (better documentation) always winning over the ancient saint (scanty paper trail or possibly mythical) or a bias towards any saint who saved people from and/or fought the Nazis. So I went to the available data on the website and complied a nifty table looking back at the prior results. Unfortunately I cannot figure out a way to paste it here and retain the formatting, so I had to retype and hope the spacing holds. If it does not, the columns left to right are: Year, Women in the Initial 32, Women in the Faithful Four, and the Golden Halo Winner. What is apparent is that the SEC have progressively moved towards gender parity in creating the brackets, finally achieving it this year with 16 women in the 2019 bracket of 32. And it seems that women have been well represented in the Faithful Four and the Golden Halo, where men hold a slight lead of 5 to 4 which will balance out this year. There does seem to be bias towards modern saints for the GH, with the exceptions of Mary Magdalene and Francis. So now you all have something else to chew on while waiting for the Faithful Four. Thanks for the analysis! So this IS the first all-female final four. And it’s interesting, though I already felt people voted more for modern saints, to see that half of the GH winners lived in the 19th or 20th century. Yes, I find the analysis very helpful—that is, it helps moderate our more passionate and contentious hunches. It is also interesting that in this first-ever, all-female Final Four, we have a square-off between one modern saint, and three non-moderns, bucking a different trend. … Does no good to put regular people or saints in boxes, IMHO. The bias toward modern saints is one of the considerations that led to the creation of the 4 bracket quadrants that started last year. Prior to 2018, no way would Gobnait have made it to the Final Four. I really like the bracket quadrants and hope they will be a permanent feature of Lent Madness. Thank you so much for the historical data analysis, Deborah! I have a similar interest in reviewing past information with an eye toward a deeper understanding of Lent Madness. I’m new to LM, so I’m still learning about the process and the voting patterns. Based on this year’s process, it seems pretty clear to me that the daily write-up by the Celebrity Bloggers carries far more weight than the discussion we engage in here. Although, I haven’t verified this, I’m reasonably confident that there are considerably less than 100 commenters;by contrast there are an average of 8000 votes cast daily (though the overall trend is downward each voting day during Lent). I agree – far more vote than comment. So the comments are not necessarily reflective of the Lent Madness voting public. I also agree that the Celebrity Bloggers have enormous powers of persuasion. I love this data!! Thank you for sharing. I think your observation about Nazi fighting speaks to our cultural fascination with WW2, but I can’t say I’m immune. I loved learning about Dietrich and Maria Skobtsova. Interestingly enough, I checked Past Golden Halo Winners on page 15 of my Saintly Scorecard to see how many women and how many men had won in past years. It was interesting to see that not only were the genders very nearly equal, but that not all the “winners” were 20th century folks. Mary Magdalene (2012) is probably the farthest back in time and Frances Perkins (2013) the most recent, with George Herbert (2010) and Charles Wesley (2014) in the middle. Zenaida gets my vote , provider of free medical care . What wonderful sacrificial love that represents ! Well, even though John has the kitschiest kitsch today, I can’t forsake Zenaida. I am awed by her faith, her learning and her commitment to healthcare for all. I hate to be a prude, but this year’s LM comments have been a turn off for me. I don’t see poems, made up songs, and down right silliness has a lot to do with my spiritual studies of lent. I have always enjoyed reading about the saints but I fear I will have to call it quits. Then, I very respectfully suggest that you skip reading the comments. Take some space over the weekend. I’d hate for you to stop altogether at this point as I’ve always found the Celebrity Bloggers’ write-ups for the Faithful Four to be the most thoughtful and moving of the entire exercise. Peace. Anna Fitch Courie has guided a saint to victory the past two years, and her gifted creative blogging is on full display today with Zenaida. Dear powers that be on the SEC, may she finally become a Distinguished Celebrity Blogger?? My heart says Zenaida, and I have enjoyed Anna Courie’s writing for a few years here, “There is no better way to honor the man who so tirelessly advocated for care of those who lived in poverty than by spending your pennies on pious excess.” got me. John Creech, good one! It intrigued me the men vs women voting discussion and the potential of the impact of voting based on the gender of who is voting. But I have this question, does anyone track the success of the authors who have put time in to teach so much about all of these saints, both known and unknown. Is there a writer whose candidates have won more often?? I believe the effectiveness of the argument has great sway in this Madness. I think those individuals should be equally recognized. I assembled this data after drawing the same conclusion as you! My dear friend who originally introduced me to Madness often commented on the power of the writing to sway voters; after all, it may be the only information some may ever read about that saint. This year, we will have either a first-time champion blogger, or we will see Anna Courie take her third consecutive victory. And Amber has a 50% chance of winning. John Chrysostom authored at least one prayer in our prayerbook, and it’s a pretty good one. At the same time, it is difficult to pass up a female doctor when my much loved niece is one. I’m writing not to vote, but to comment. A Canadian senior, I was raised in midwestern Canada, and we worshipped in informal conservative evangelical churches. As an adult, I have continued to learn and worship in several churches of rhe Christian an Missionary Alliance, for over 50 years. A couple of years ago, a neighbour lent me a copy of The Anglican Journal (long story, will skip ahead). Intrigued by the depth of the theology, the obvious intellect, and the sincere message and practice; I signed up for email newsletters, and there discovered Lenten Madness among some other gems of faith.. I have been entertained, enlightened, heartened, and blessed. Conservative protestants are not purveyors of Saintly information — no Feast Days for Saints or those kinds of commemoration. So I have been enjoying a delightful flow of new and inspiring information and delightful comments. I am a fan of words, and there were many! There are no specific Lenten practice in our church, although Good Friday and Easter Sunday are important and special services. I have adopted Lenten Madness as my own Lenten observance. I delight in the inclusive biographies, the carefully crafted comments, the songs and the limericks. I have learned about faithful believers whose very existence was unknown to me. Thank you to all the authors and commenters. If any dear readers are having difficulty remembering Canadian geography, I live in Saskatoon (a city) in the province (“state” in U.S. parlance) of Saskatchewan, in the country of Canada. You can find my location on a map of North America. That would be about 350 miles north of North Dakota’s northern border, or possibly right past the top edge of the map paper, depending on how much of North America your map maker chose to display. That last paragraph was included to illustrate how far the Lenten Madness has spread. Thank you for your story. Thank you for joining us on this virtual pilgrimage to Canterbury. I for one hope to see you here again. I echo the thanks, the praise, and the sentiment. “Stay with us,” as they say on the news. I live in the Pittsburgh area, near my home town, but my husband and I lived in Labrador City for five years and six winters, and in Corner Brook, Newfoundland & Labrador for 25 years. We have been back “home” for 4 years, and I still miss much about Canada, but not, to be honest, the winters. I do miss the northern lights in Labrador, which I could see often. 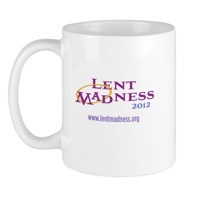 I discovered Lent Madness when I became an Episcopalian after returning to Pennsylvania. I buy the bracket poster every year for our parish. Not only is Lent Madness fun, but I’ve learned so much. I have been trying hard to get Dr. Wilfred Grenfell into the contest, but no luck so far. He gave his whole life for the northern peninsula of Newfoundland and for Labrador. Enjoy the rest of Lent Madness! Saskatoon, Saskatchewan is my absolute favorite place name in the whole world.